Study shows that brain receptor which increases during puberty reduces epilepsy in mice. Epilepsy is a common neurological disorder in childhood. Epilepsy is more than twice as common in children as in adults. This statistic reflects the fact that epilepsy frequently remits in adolescence, an outcome which is more commonly noted for certain epilepsy syndromes. However, the underlying mechanism for this marked decrease in seizure susceptibility during adolescence is not known. Now, a study led by SUNY Downstate Medical Center shows that, at the onset of puberty, the emergence of a novel inhibitory brain receptor, reduces seizure-like activity in a mouse model of epilepsy. The team state that their findings may be relevant for remission of childhood epilepsy in adolescence, which is reported for 50–60% of the cases studied. The opensource study is published in the journal Scientific Reports. Earlier studies from the lab show that expression of α4βδ GABARs increases 4 to 8-fold on the dendrites of CA1 hippocampal pyramidal cells at the onset of puberty in female mice from nearly undetectable levels assessed pre-pubertally. Therefore, the group hypothesized that this increase in GABAergic inhibition during puberty has an inhibitory effect on CA1 hippocampal network activity such as the production of epileptiform bursts. The current study investigates whether pubertal the CA1 hippocampus would generate less seizure-like activity than pre-pubertal hippocampus. The current study tests the role of α4βδ GABARs receptors in regulating seizure-like discharges in CA1 hippocampus using a high K+ seizure mouse model. The magnitude of the resultant epileptiform activity was assessed using the coastline length measurement, a measure of individual burst intensity, across pubertal stages in mice. Results shows that seizure-like activity is significantly decreased during the pubertal period due to the increased inhibition provided by α4βδ GABARs which emerge during adolescence in CA1 hippocampus. 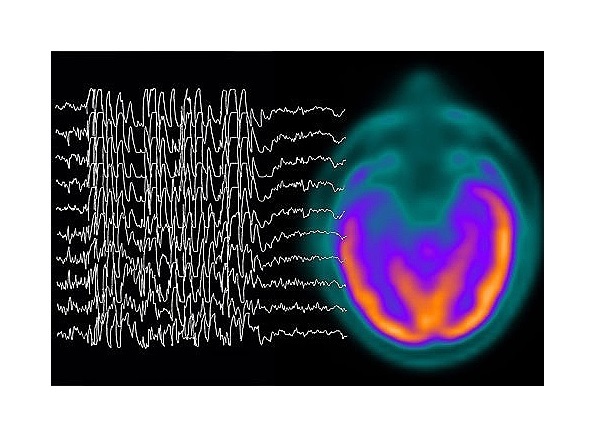 Data findings show that this decrease in epileptiform activity was not seen in the mouse hippocampus not containing α4βδ GABARs, confirming the role of the α4βδ GABAR in reducing seizure-like activity. The team surmise that their data suggests that α4βδ GABARs are anti-convulsant during adolescence. For the future, the researchers state that these findings suggest a mechanism for remission of epilepsy in adolescence and also suggest potential new therapies for childhood epilepsy.